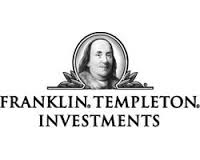 In an announcement made earlier today, Franklin Templeton Investments Corp. is confirming mutual fund investors have ratified its proposals to implement a fixed-rate administration fee. This new fee seeks to change the management fee that certain types of funds currently incur, and is designed to arm investors with greater fee transparency and predictability. Also included as part of the fee transparency increase are management expense ratios (MERs) that are lower or equal to previously reported ratios. “Our investors have validated the benefits of a fixed admin fee model with their support of our proposal,” Dennis Tew, CFO of Franklin Templeton Investments Corp., stated in a release. As of January 1, 2014, the firm will cover each fund’s operating expenses aside from certain fund costs, which include fees and expenses for directors and new governmental fees, in exchange for an annual fixed rate administration fee that each fund would be responsible for paying. Prior to the announcement of these changes, each fund was required to remunerate all of its own operating expenses, which included a portion of the fund’s MER. Through the adjustment of a significant part of the operating expenses at a pre-established rate, the transparency of the MERs will jump sharply. Implementing a fixed rate administration fee also offers additional benefits for investors. Particularly, it provides them with protection against surging MERs incurred by falling markets, net redemption periods or increased service costs. The proposal also included the realignment of management fees, which is another crucial element a fund’s MER. Most of the modifications to these fees will decrease the amounts that funds are typically charged. Additionally, each fund will also be responsible for paying all applicable taxes (HST, capital taxes, income taxes and withholding taxes).